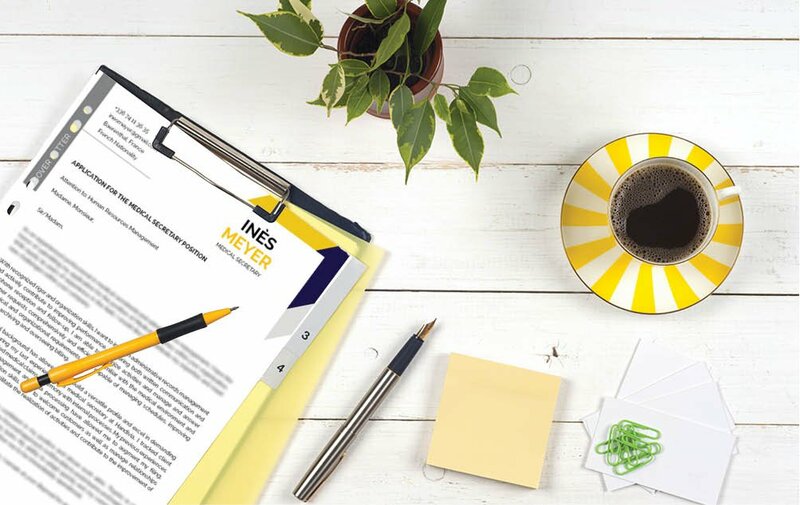 A clean template which uses colors and texts effectively to bring out the best cover letter. 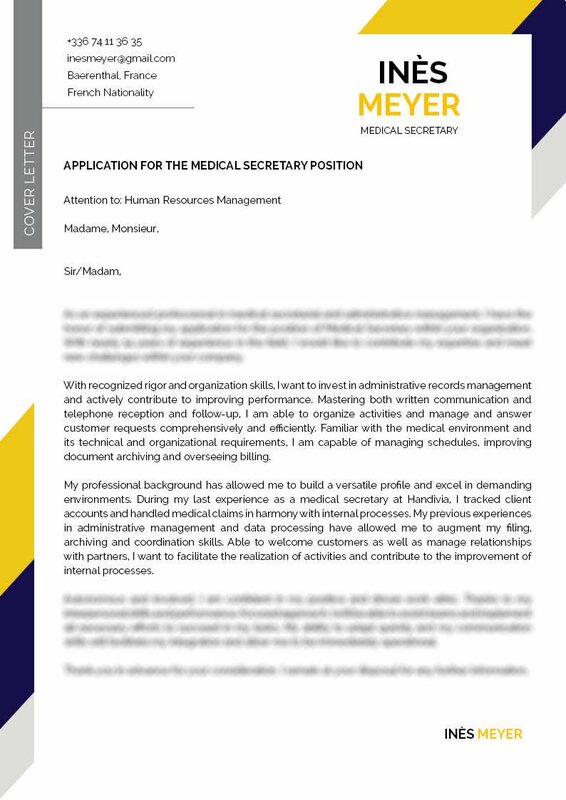 Cover letter to download "Medical-2"
This template is an effective profile perfect for modern job seeker such as yourself! 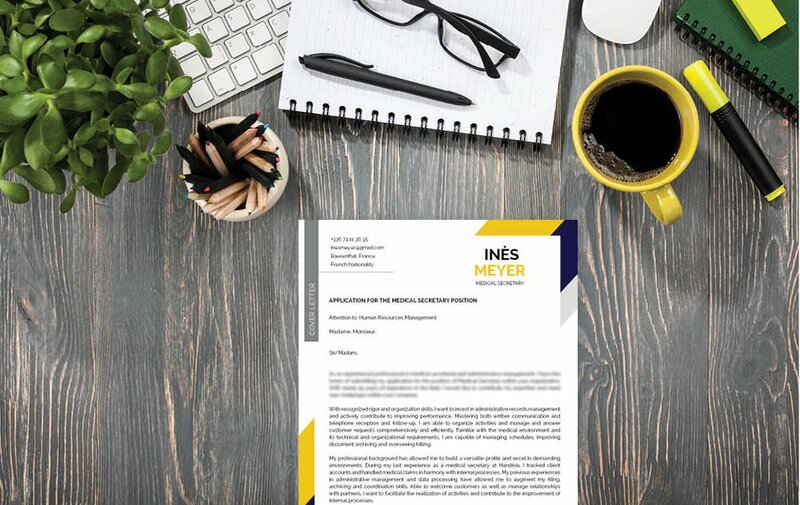 This cover letter template provides you with an eye-catching Cover letter design that presents all your qualifications with great clarity, which is sure to impress your hiring manager. In addition, the use of the color yellow really gives this an attractive look that will surely boost your career as a medical secretary! Keep it short, but dense with information. 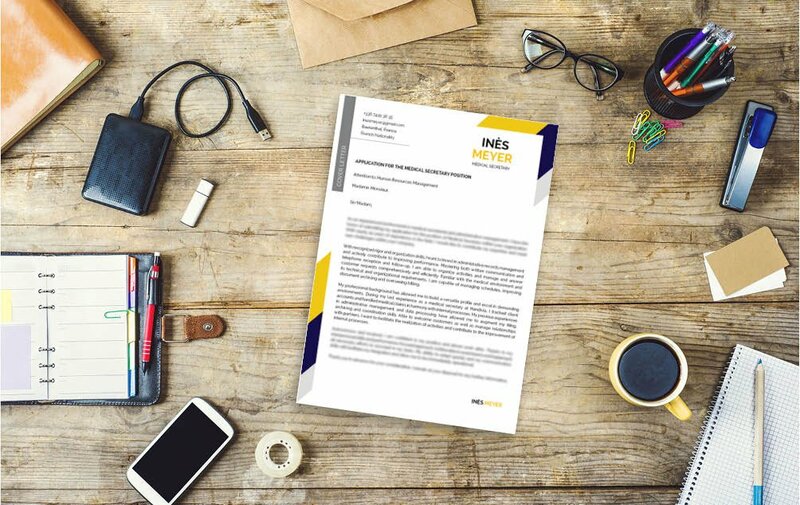 A cover letter that packs in all your content within one or two pages, yet still presents it in an effective manner is sure to help you get that dream job! Since most people prefer a style of writing that presents a complete thought within a short amount of text, it's imperative that you write each paragraph and sections of your cover letter short, but substantive. Break down complex parts into smaller, bite-sized pieces that are easier to read and more accessible to your potential employer.